Jaguar's evolution is taking place right before our eyes. There is a rift taking place in the design of new cars as overly complicated modern designs clash with enduring classical styles at a time where designers have less freedom. In a recent interview with Road and Track, Jaguar’s head of design Ian Callum mentioned how electric cars are the new frontier that enables designers to work around the stringent standards for car design that are currently in place. However he mentioned that there’s another option on the table for making groundbreaking new design: a mid-engine setup. While speaking about the new I-Pace, Callum said that Jaguar chose an SUV because it is the body style most conducive to electrification. In an electric car, the battery tray forces the occupant’s seating area to be elevated, meaning that a sports car loses its natural low-slung feel. In an SUV, the phenomenon is not only excusable, it’s expected. Callum elaborated that today’s designers have little freedom to reimagine sedans or SUVs because aerodynamics and safety regulations dictate that the layout of a car must stay within standardized confines. Electric cars are rewriting those rules by allowing designers to build cars with cab forward designs where the greenhouse sits closer to a front end that doesn’t have long overhangs over the tires. This is seen on cars with no engines up front like the Ferrari 488 GTB, which has the lower end of its windshield straddling the front tires. On front-engine cars, the windshield is pushed back to allow space for an engine. Jaguars like the iconic E-Type and its spiritual successor, the F-Type, feature the same design, but Callum thinks it would be fun to experiment with a cab forward orientation by placing the engine in the middle. “Our F-Type, before the one that became the production car, the previous design concept was mid-engine,” said Callum.” "We've had a discussion—will the next F-Type be mid-engine or front-engine? We've had that discussion. We haven't decided yet. And even within the design studio we disagree with each other." We’d be enthralled if Jaguar decides to go with a mid-engine layout even though the current F-Type already has a sublime profile. Whether or not that happens, Callum has likely already been toying with a cab forward F-Type design because he had previously mentioned that the automaker will need to build an electric sports car at some point. 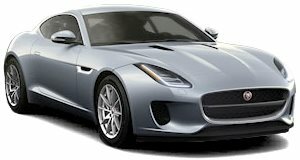 If anything, a mid-engine F-Type could provide the team with a design experiment to show them just what they can do with the freedoms afforded by taking the engine out of the front end. It was a good while coming, but Jaguar’s successor to the E-Type was oh so worth it. Jaguar has got the entry-level F-Type just right.